Many pets are troubled with allergies and can exhibit a variety of symptoms, such as itching, skin eruptions, hair loss, runny eyes, sneezing, ear infections, licking of paws and frequent diarrhea. If left untreated, these problems can make your pet miserable. Fairway Knolls Veterinary Hospital offers effective pet allergy treatment, so your dog or cat can be more comfortable again. Unfortunately, a wide range of compounds can be the culprit for allergies. Like people, dogs can be allergic to pollen from trees, grass or weeds. Mold growing anywhere in or outside the home can trigger an allergic reaction. Feathers, dander or dust mites can cause an allergy. Cigarette smoke, household cleaning products, flea control products or perfumes can also cause reactions. Different types of food can cause allergies. Even fabrics, rubber or plastics can be the source of a reaction. 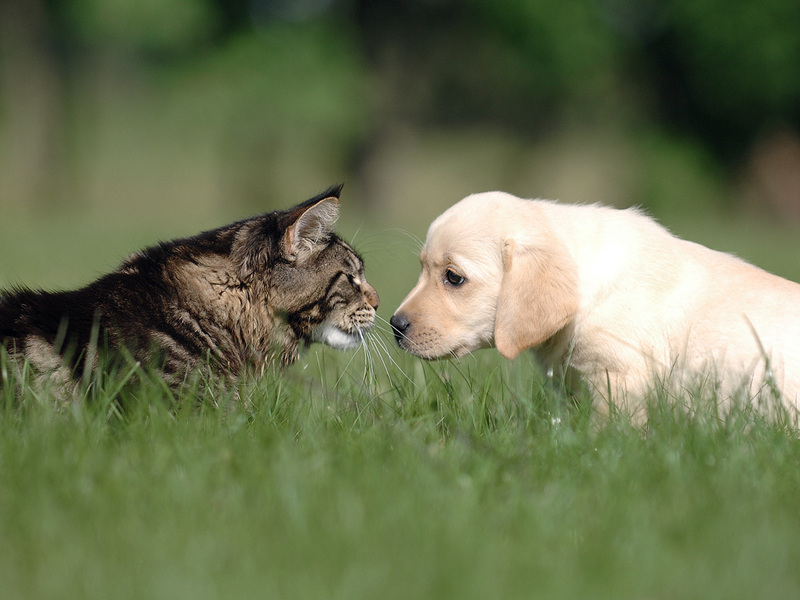 Tracking down the cause of your pet’s allergy problem can be challenging. You can begin by keeping a daily journal of your pet’s symptoms, whether the symptoms become worse when the animal is outdoors, what your pet eats and other information. If a food allergy is suspected, your Bloomington vet may recommend an elimination diet, feeding only one food at a time to find the foods that cause a problem. In other cases, your vet may recommend allergy testing for your pet, to determine the source of the problem, so effective treatment can be administered. Veterinarians offer a number of different antihistamines to help relieve allergy discomfort. If necessary, the vet can also prescribe corticosteroid medications to reduce inflammation from allergens. Allergy shots are available that will desensitize your pet’s immune system and reduce reactions. You can also take measures to help reduce your pet’s exposure to allergens. You can wipe your dog down after walks outdoors. Using a medicated or oatmeal shampoos can help to relieve skin discomfort. Medicated sprays are also available to relieve itching and reduce paw chewing. Dr. David Tatro and his team have extensive experience in providing compassionate care for animals at all stages of life. We offer a wide range of veterinary services, from preventative care to surgery, for pets in the Bloomington, IL area. We can also provide treatment for your pet’s allergy problems. Call today at %CLIENT_PHONE% for an appointment to discuss pet allergy treatment for your pet.